Sugarcanes could soon be used to power cars. A team of researchers has brought an oil-free future closer to the reality. The University of Illinois scientists have proven sugarcane can be genetically engineered to produce oil in its leaves and stems for biodiesel production. Surprisingly, the modified sugarcane plants also produced more sugar, which could be used for ethanol production. "Instead of fields of oil pumps, we envision fields of green plants sustainably producing biofuel in perpetuity on our nation's soil, particularly marginal soil that is not well suited to food production," said lead researcher Stephen Long. "While fuel prices may be considered low today, we can remember paying more than 4 dollars per gallon not long ago," Long said. "As it can take 10-15 years for this technology to reach farmers' fields, we need to develop these solutions to ensure our fuel security today and as long as we need liquid fuels into the future." 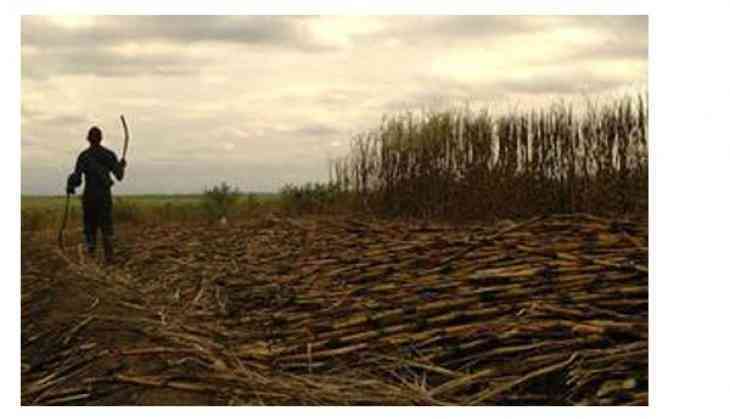 The paper analyzes the project's first genetically modified sugarcane varieties. Using a juicer, the researchers extracted about 90 percent of the sugar and 60 percent of the oil from the plant; the juice was fermented to produce ethanol and later treated with organic solvents to recover the oil. The team has patented the method used to separate the oil and sugar. They recovered 0.5 and 0.8 percent oil from two of the modified sugarcane lines, which is 67 percent and 167 percent more oil than unmodified sugarcane, respectively. "The oil composition is comparable to that obtained from other feedstocks like seaweed or algae that are being engineered to produce oil," said co-author Vijay Singh, Director of the Integrated Bioprocessing Research Laboratory at Illinois. "We expected that as oil production increased, sugar production would decrease, based on our computer models," Long said. "However, we found that the plant can produce more oil without loss of sugar production, which means our plants may ultimately be even more productive than we originally anticipated." To date, PETROSS has engineered sugarcane with 13 percent oil, 8 percent of which is the oil that can be converted into biodiesel. According to the project's economic analyses, plants with just 5 percent oil would produce an extra 123 gallons of biodiesel per acre than soybeans and 350 more gallons of ethanol per acre than corn. The study appears in Biocatalysis and Agricultural Biotechnology.